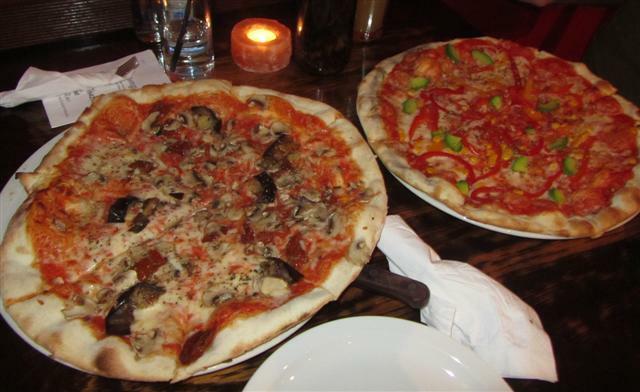 The Vegetariano pizza was topped with mozzarella, tomato, aubergine, sundried tomatoes, mushrooms and garlic. The garlic gave a wonderful taste to the pizza. The aubergine chunks were soft and cooked well. The pizza was also supposed to have olives but we asked for the pizza to be made without them. Our second pizza was the Vegetariana. This had the unusual topping of avocado. It also had tomatoes, baked red peppers and mozzarella. We swapped the goat’s cheese topping with sweetcorn. The baked red peppers were just normal sliced peppers. It was different to have the avocado on the pizza but I’m not sure that I would have it again. The pizza bases were okay. They were thin and crispy but seemed to lack flavour. 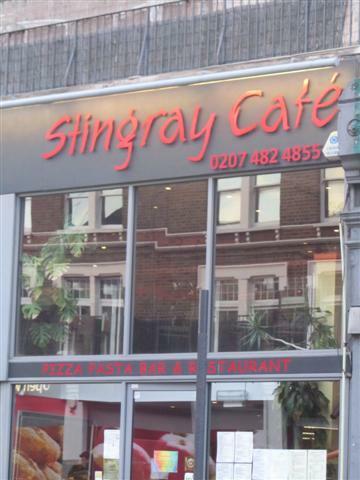 Stingray Cafe has a red interior and a bar at one side of the restaurant. It also has an upper seating level. There is a cosy sofa near the entrance of the restaurant. 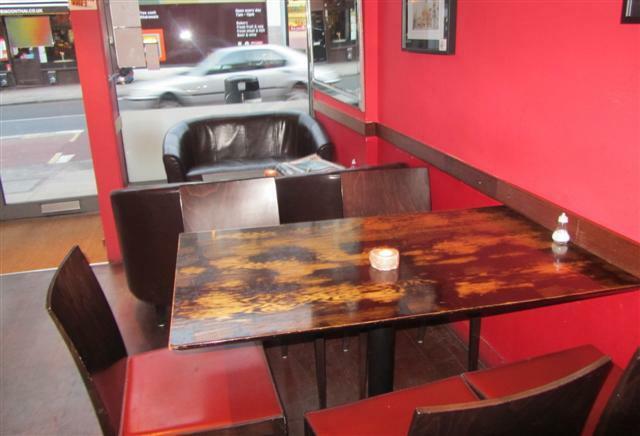 The furniture was dark wooden tables and chairs. The staff were friendly and gave service with a smile. They were accommodating when we asked for half of each pizza to be made with less cheese. It was also good that the pizzas came already sliced. As we were unable to finish our pizzas, the staff gave us takeaway boxes to pack the pizzas in.